Formal and functional-semantic features of identifying-assimilating correlative conjunctions like takoi zhe…chto i, stol'ko zhe…chto i, tam zhe…chto i, etc. Tripolskaya T. A. (Novosibirsk, Russian Federation), Main Editor of Journal, Doctor of Philology Sciences, Professor of the Department of Modern Russian Language, Novosibirsk State Pedagogical University. Bulygina E. Y. (Novosibirsk, Russian Federation), Candidate of Philological Sciences, Professor of the Department of Modern Russian Language, Novosibirsk State Pedagogical University. 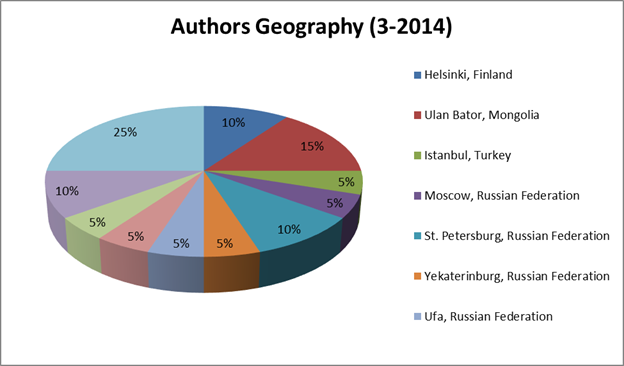 Mikhail Kopotev (Helsinki, Finland), PhD, Lecturer of the Department of Modern Languages, University of Helsinki. Perfilyeva N. P. (Novosibirsk, Russian Federation), Doctor of Philology Sciences, Professor of the Department of Modern Russian Language in the Institute of Philology, Mass Information and Psychology, Novosibirsk State Pedagogical University. Khramtsova L. N. (Novosibirsk, Russian Federation), Candidate of Philology Sciences, Associate Professor, Head of the Department of Modern Russian Language, Novosibirsk State Pedagogical University. Barancheeva E. I. (Novosibirsk, Russian Federation), Candidate of Philological Sciences, Associate Professor of the Department of Theory of Language and Intercultural Communication, Novosibirsk State Pedagogical University. Roghkov V.V. (Novosibirsk, Russian Federation), Candidate of Philology Sciences, Associate Professor of the Department of Modern Russian Language, Novosibirsk State Pedagogical University.